TBP is a direct distributor of Rugged Radios. This listing is for one radio, see included contents below. 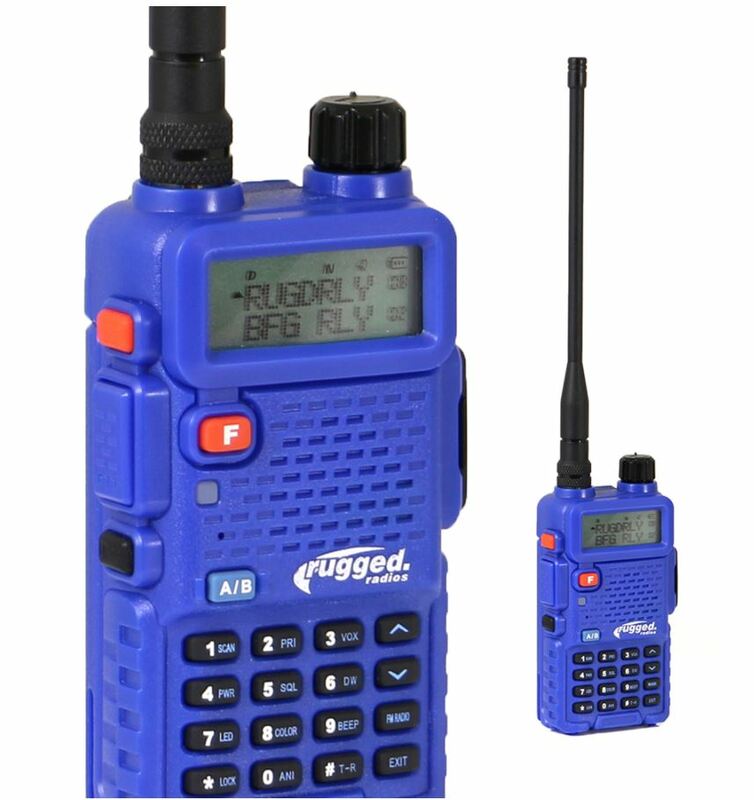 The Rugged Radios RH-5R dual band (VHF/UHF) Handheld Radio boasts powerful 5 watts of performance in a compact unit that packs a long list of features! The RH-5R can operate on both VHF and UHF bands making it do the job of two radios in one! This versatility makes it your "go to" radio for everything you need! Pre-programmed with 40+ popular channels including Best In The Desert, Baja Pits, Weatherman, BFG Relay, Rescue, Checkers, GMRS channels & more!